When the wintry November weather hits, name a better place to hole up in than a pub. With hearty food, comforting drinks and a quintessentially British feel, it’s the perfect backdrop for a Sunday afternoon spent whiling away the hours with friends. London sometimes feels like it has more pubs than people, so we’ve cut through the noise and curated the dream list of cosy pubs. The latest venture from the duo behind The Palomar, The Blue Posts is a comfy little pub teetering on the edge of Chinatown. There has been a public house on this site for the last 275 years, and this sense of nostalgia is not lost on the owners. 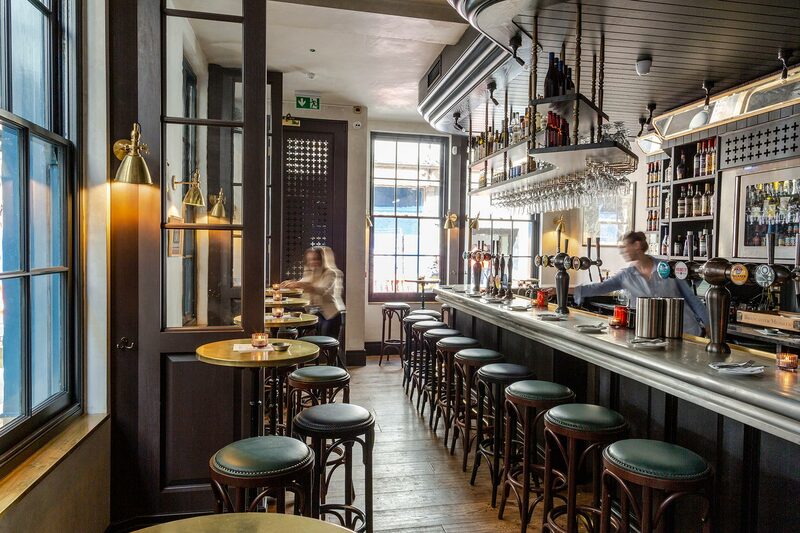 The pewter-topped bar, jade-coloured stools and dark wood touches all serve to make this pub feel snug. The quality craft beers on offer are delightfully warming, with a stout from One Mile End and a pilsner from Mondo leading the pack. The bar snacks are excellent, and you’d expect nothing less from this pair. Particular standouts include the Coppa di Parma with deliciously tart cornichons and peanuts doused in harissa with Cuzco corn. 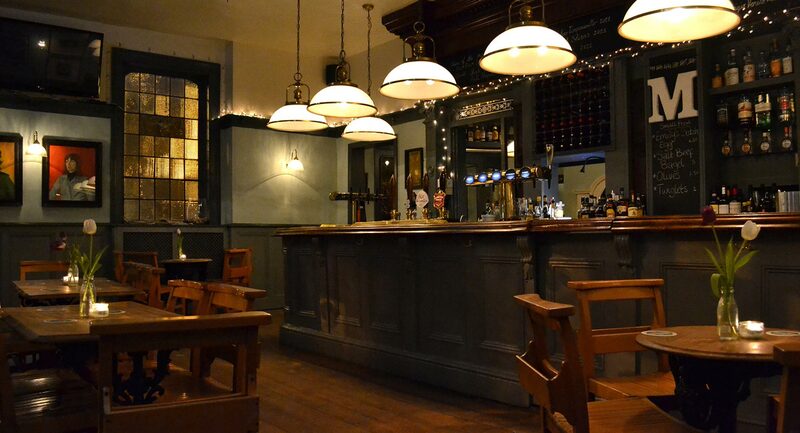 The Blue Posts’ merit lies in its local boozer feel, the ideal spot to escape the cold when in central London. Nestled down Coldharbour Lane, The Sun of Camberwell is spacious but welcomes you with open arms. Its eccentrically mismatched décor, booths to snuggle up in and open fire are so inviting. Their kitchen serves hearty Sunday roasts and modern British pub fare, with shout outs to the slow braised brisket of beef with unrivalled potato dauphinoise and the chickpea, beetroot and sweet potato burger, dishes that warm your heart. 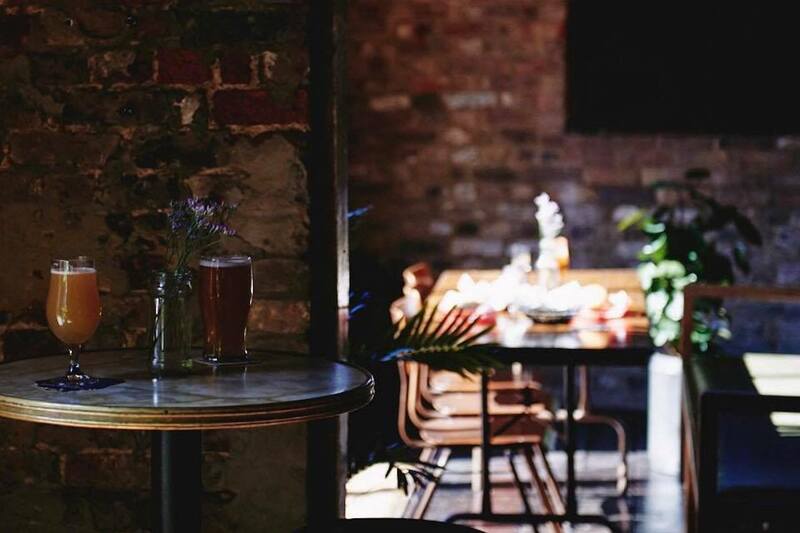 The craft beers, extensive wine list and pub quiz on Wednesdays mean you can hunker down at The Sun and really make a night of it in this corner of Camberwell. Set up camp by the roaring fire at The Myddleton Arms when the cold snap hits. This compact Victorian pub is a North London favourite by virtue of its neighbourhood feel and fantastic food. Their Sunday roasts are to die for – try the grass-fed topside of beef or the shoulder of lamb that’s been slow cooked for 8 hours, and wash it down with a mean Bloody Mary or one of their flavourful ales. Once someone jumps on the piano and the board games are cracked out, you’ll find it impossible to leave. The site of The Pride of Tottenham until recently, The Bluecoats is making Tottenham High Street hip. The Night Tales team and Tom Gibson (responsible for Ruby’s cocktail bar in Dalston) have collaborated to transform this boozer from rowdy to trendy. But it’s the mahogany bar, dark leather and old school signs that make for a comfy hideaway from the November chill. The food is brought to you by Lucky Chip who serve some of London’s best burgers, and with twenty lines of ‘keg, craft and cask’ beer from local breweries, there’s plenty to warm the cockles at The Bluecoats. 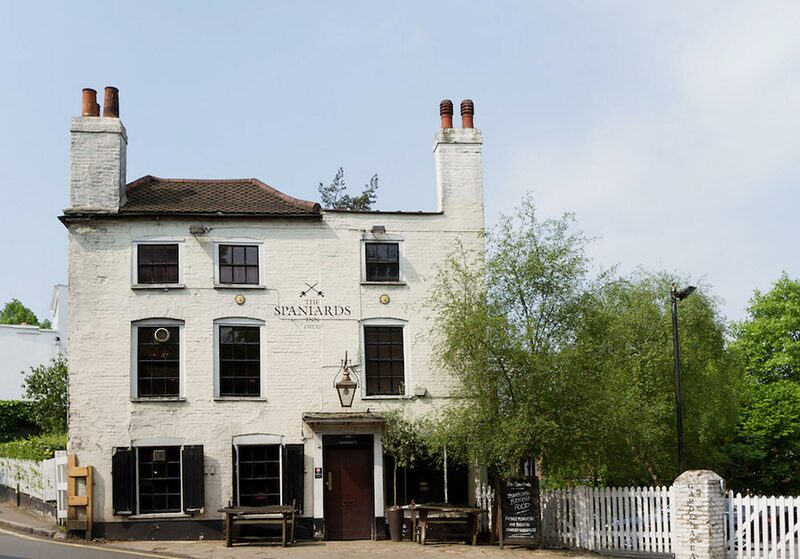 Holding court on the edge of Hampstead Heath is The Spaniards Inn, an iconic pub dating back to the 1500s that boasts both Keats and Dickens as former patrons. Dimly lit and oozing with history, it’s a world of beams, wood-panelling and blazing fires, the perfect spot for post-walk respite. The menu consists of elevated British dishes – their pie is a heartfelt medley of chicken, leek, portobello mushroom and roasted roots, a welcomed warm hug at this time of year. 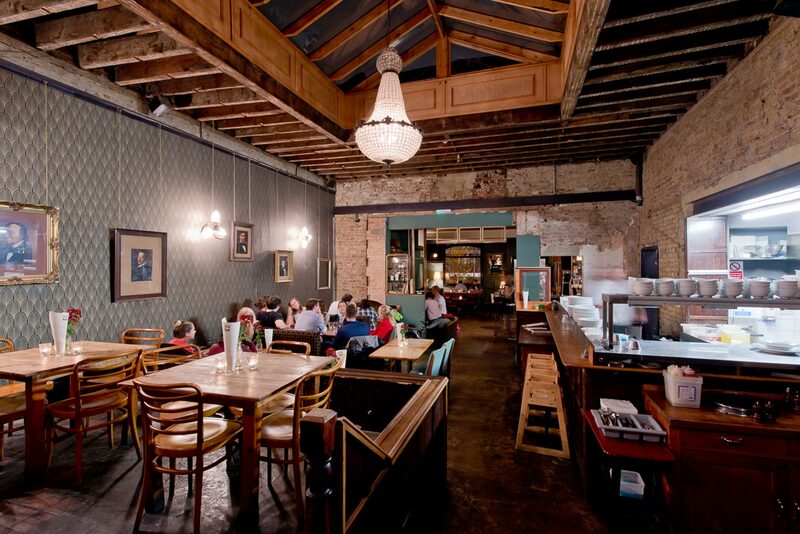 And there’s no shortage of craft beers, from the likes of Tiny Rebel, Siren and Brewdog, so pick a cosy corner to settle in and read the Sunday papers.